In the past week we have had two of the biggest jobs announcements by numbers since the financial crisis. 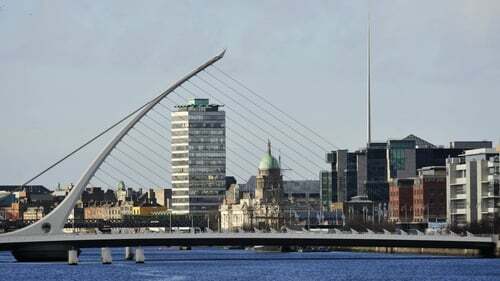 On Friday, Salesforce revealed it is adding 1,500 employees in Dublin. Then on Monday it was the turn of Facebook, which said it will take on 1,000 more people in the capital. Although job numbers continue to soar as we edge ever closer to full employment, the number of new houses and apartments to accommodate these people is growing at nothing like the same rate. When the big multinationals are adding staff in such big numbers, they often employ locally based property consultants to help them when it comes to housing new employees, especially more so given there is a huge shortage of available accommodation in and around Dublin. The big question in the context of the current housing crisis is 'where will these people live'? A director with Dublin-based Dillon Marshall Property Consultants, Damien Dillon, said that we have to remember not all of these employees are going to arrive at the one time. "Before the announcements have been made these companies would have put in place plans to accommodate these employees as they come into the country and this will often be done on a phased basis over a number of years. "With Salesforce we're likely to see these employees coming in in about two to three years time," he added. While the companies might want their new staff members in place sooner, they adjust their strategies to take into account the current housing situation in the country. There is a trend developing where some of the bigger multinationals - that can afford to do so - are actually buying up or leasing big residential developments to house their bulging employee base. Mr Dillon says the companies are taking it upon themselves to proactively inquire in advance about developments coming to the market "therefore providing accommodation for employees when they arrive into the country. "We're also seeing the companies are moving out of the city with the transport links that are on offer". Around 70% of these multinational tech roles are being filled by applicants from overseas. "The majority of the people who are coming in from overseas are used to apartment living ... we're seeing that the likes of Honeypark in Dún Laoghaire and various other schemes that are build-to-rent have been a great success to date," Mr Dillion added. Ireland is only building around half of the housing needed to keep up with demand, meaning there is concern that when there are sustained big-ticket jobs announcements - where in many cases the company is paying something towards, if not all of an employee's accommodation cost - that this distorts the market for the average renter. The property consultant acknowledges there is a shortage of supply in the rental market but developments are being fast tracked and are now coming to the market more quickly than previously. But Mr Dillon added that "in the short to medium term it is a problem - there's no doubt about it. He says the situation is slowly improving though. "We go into multinationals on a weekly basis to speak with employees about locations, the distance from their work, what's on offer, where they can live, etc... also you find the rental levels have flattened out". He also pointed to the positive impact of rent pressure zones. But on the issue of excessively high rents, he concluded that "until supply comes to the market it's going to be there for the existing future".